Top 10 rated super flyweight contender Andrew ‘The Monster’ Moloney 18-0 (11) delivered an impressive display of power-boxing to stop former world champion Luis ‘El Nica’ Concepcion 37-7 (26) in the tenth and final round of a WBA world title eliminator at Bendigo Stadium in Bendigo, Victoria, Australia on Saturday night. The WBA number four ranked Australian became just the second man to stop the WBA number five ranked Panamanian in 44 pro bouts. The 27-year-old Moloney boxed behind a high guard in the opening rounds, pumping out his jab as Concepcion walked forward looking for a home for his wild right uppercut. As the rounds progressed he mixed in left rips, right crosses and left hooks to the head. Moloney was in full control by the fourth round, boxing a smart, composed fight while strafing Concecpion with two- and three-punch combinations to the body and head. The fifth round was Moloney’s best of the fight as he backed up the increasingly desperate Concepcion and rattled him with hard shots on the inside and debilitating body shots. The right uppercut and chopping right hand were particularly effective for Moloney in this frame. Moloney continued to pour it on in the sixth but eased back in the seventh and eighth rounds as he conserved his energy for a big finish. In the ninth Moloney shifted up a gear and in the tenth he went all out, bouncing the 32-year-old veteran around the ring with deadly accurate lefts and rights to the head. With Concepcion caught on the ropes Moloney delivered a pair of hard shots to the jaw before trapping the Panamanian in his own corner and delivering the fight-ending salvo. New Zealand referee Ferlin Marsh waved off the fight at 1:58 of the tenth and final round. The victory should put Moloney in the box seat to challenge WBA super flyweight champion Khalid ‘Kal’ Yafai 24-0 (15) of England, who won the world title from Concepcion on points in December 2016. 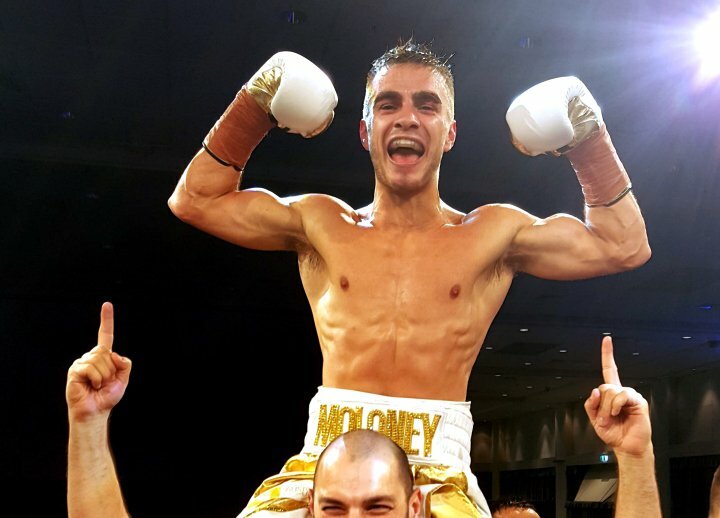 Before that fight happens Moloney’s twin brother Jason will competed in the quarterfinals of the World Boxing Super Series when he takes on reigning IBF bantamweight champion Emmanuel Rodriguez 18-0 (12) at the CFE Arena in Orlando, Florida on October 20. Amir Khan – Where Should He Go From Here?